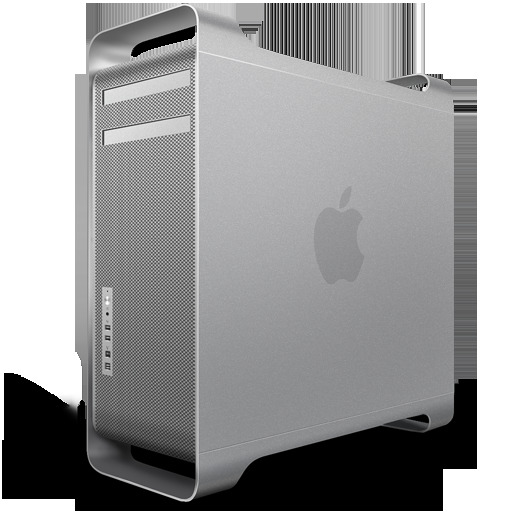 The 2010 era Mac Pro has always been one of my favorite Mac computers. The design and functionality are incredible. The thing that may surprise you is how usable the system still is in 2018! 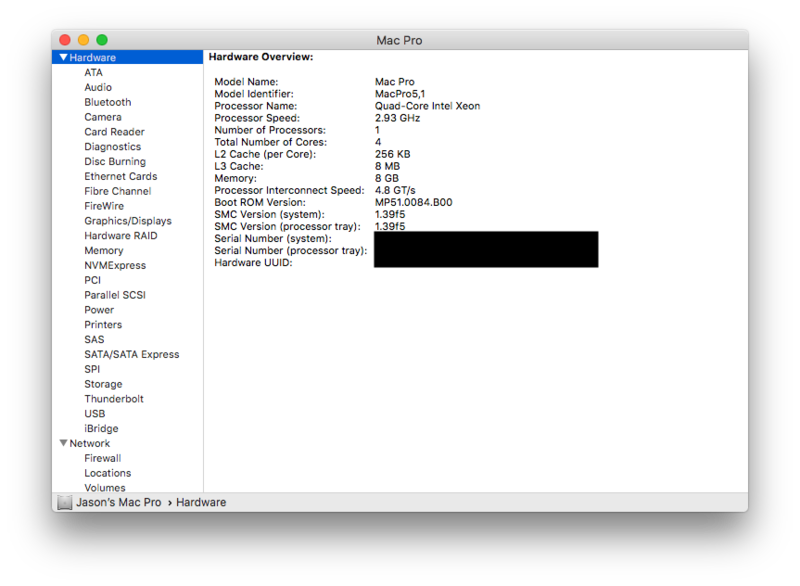 For a fun project, I have decided to see how ‘modern’ I can make my 2009 Mac Pro and document the journey. I am breaking it up into two parts; Software and Hardware. Enjoy the ride! The first thing to upgrade is the firmware. Because the 2009 and 2010 models were mainly the same, you can upgrade your 4,1 system to be a 5,1 system! This is helpful because it allows you to update macOS to the latest version 10.13. This also allows you to upgrade hardware past what the 2009 model initially supported. Note: the system will still show that it is a ‘Late 2009’ model, but you will see in system information that the identifier is now 5,1. Upgrading from 4,1 to 5,1 took a little work, but overall it was a smooth process. Initially, I was getting a ‘5570’ error code when running the firmware tool, but this was fixed simply by mounting the ‘MacProEFIUpdate.dmg’ but not running it. This then allows you to run the firmware tool and complete the firmware update required. 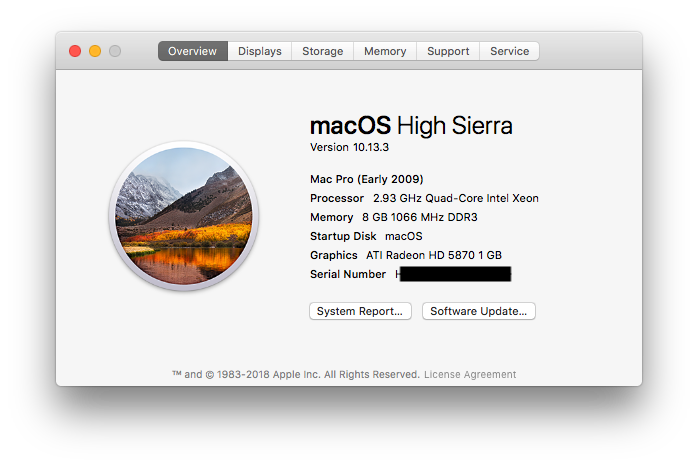 Once the system was showing that it was now a 5,1 instead of a 4,1, it was time to install a fresh copy of macOS. This was no different than any other install. I made a USB installer (I like Disk Maker X for making bootable macOS installers) and installed macOS High Sierra 10.13.3. In part two I will cover everything related to hardware in this upgrade project! After getting 10.13.2 installed, I was never able to get any later 10.13.x update to install. These installers were also trying to do some system firmware update that wouldn’t complete successfully. I decided to try software update again when 10.13.5 released and still no luck. Today I created a new bootable flash drive for 10.13.5 and tried that route again. Good News! The fresh install of 10.13.5 worked and the firmware update completed successfully as well!